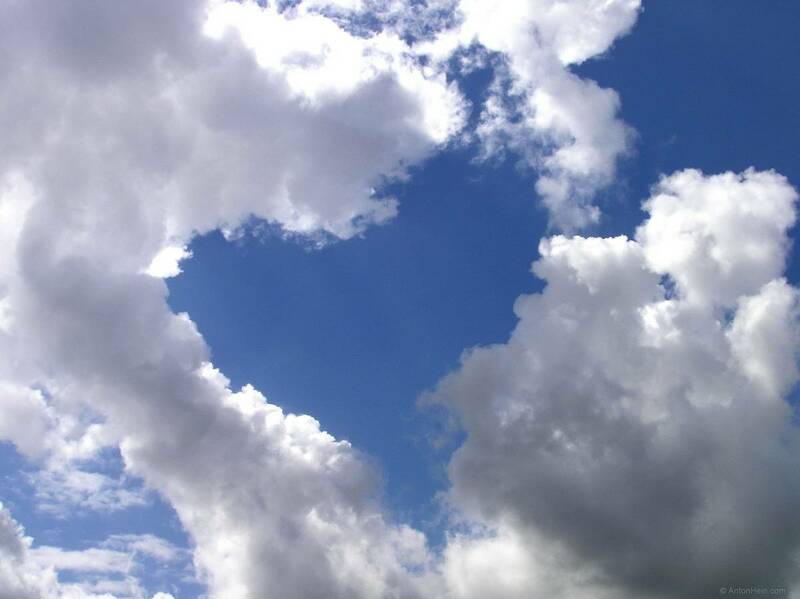 I took the photo of the ‘heart in clouds’ in July, 2005, when we accompanied my brother and his family to Schiphol, the airport of Amsterdam, for his return trip to Canada where he lives with his wife and daughter. All goodbye’s are difficult, but we smiled when — on the observation deck — we saw this heart. Incidentally, seeing familiar images in the clouds, in a cut of wood, or even in a toasted cheese sandwich is a common human phenomenon of perception called pareidolia.